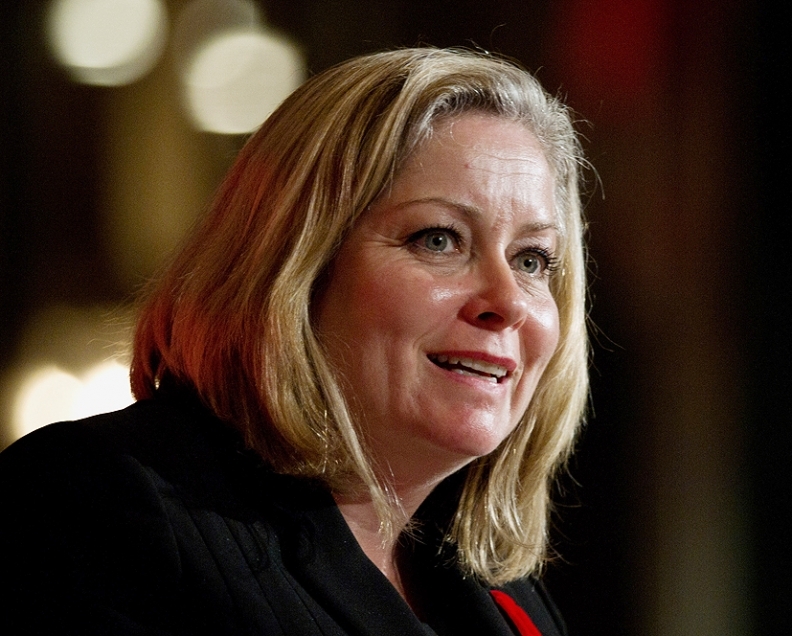 Linamar Corp. Chief Executive Linda Hasenfratz says CETA will lead to more growth in Europe. Linamar Corp. expects higher European sales of the parts-maker's Canadian-built mobile industrial equipment, because a new free trade agreement between the two jurisdictions will give it a price advantage over U.S. rivals, Chief Executive Linda Hasenfratz said. The Canadian-European Union Comprehensive Economic and Trade Agreement (CETA), reached on Oct. 30, will give Canada's Linamar tariff-free access to Europe, the destination for about 25 per cent of its Skyjack division's sales of aerial work platforms and telehandlers, a vehicle similar in appearance and function to a forklift but is more a crane than forklift. Skyjack competes with a division of U.S.-based Terex Corp , among other rivals. "We're going to increase our sales and our growth in Europe," Hasenfratz said in a phone interview late Thursday. "That would obviously add to output of our Canadian plants." Hasenfratz said she believes the free trade deal may also benefit Linamar's sales of other equipment and tooling. But the biggest advantage would be for Skyjack, which builds its scissor and boom lifts for the construction industry in the Canadian province of Ontario. Tariff-free access to markets is crucial for Linamar, which also manufactures parts for the auto industry, and has integrated operations in Canada, the United States and Mexico, said Hasenfratz, an outspoken supporter of maintaining the North American Free Trade Agreement (NAFTA). Linamar's stock fell nearly five per cent the day after the U.S. election over investor concerns that President-elect Donald Trump would follow through with a campaign promise to renegotiate NAFTA and introduce tariffs.